Fair is foul and foul is fair in Justin Kurzel's adaptation of Shakespeare's Macbeth. The Aussie director has offered up a visceral version of the Scottish play, one that amps up that battle bloodshed and drains color from its palette. There's a special kind of chaos to Kurzel's vision, one he sets up with an opening sequence beyond the confines of the play. 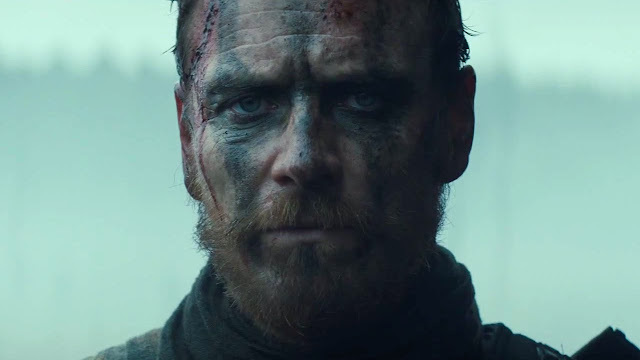 Here, we watch as the family Macbeth (Michael Fassbender and Marion Cotillard) bury a child. They grieve, they place the scales over his eyes, they descend into the dense fog of madness. 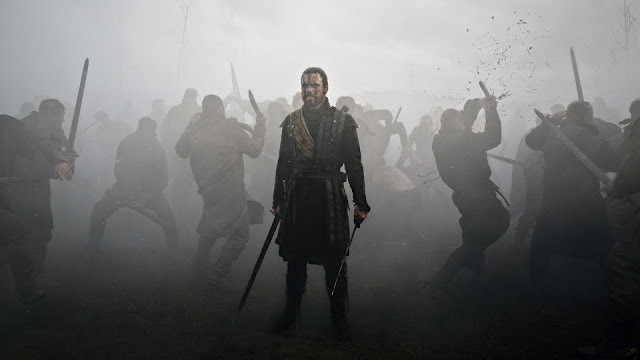 In the shift from grief to the gritty expanses of Kurzel's slow-motion battle sequences, we are able to see Fassbender's Macbeth as an absent presence, one curiously still as armies fall. Though we may find ourselves hypnotized by the dark beauty of so many of the film's moments, a distance is placed between audience and film. 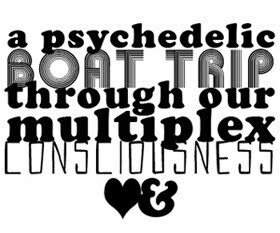 We can almost see the strange dissonance that separates us from Macbeth, and we can watch as the Weird Sisters do, stock still on hilltops above the moors, feeding off the flecks of dirt and blood that rise up from the choreographed violence. It's striking, lovely in its way even as it chills. Beauty - or, at least, a type of handsomeness - is this iteration's great strength. It makes for a brilliantly visual addition to the canon even as it takes occasional liberties. 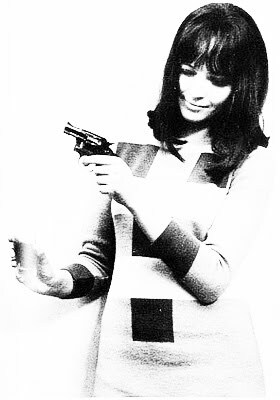 From there, the performances drift into the terrain of technicalities. We look at Cotillard and Fassbender as new competitors in a long line of tradition, and I must confess that I don't feel totally able to evaluate their interpretations. 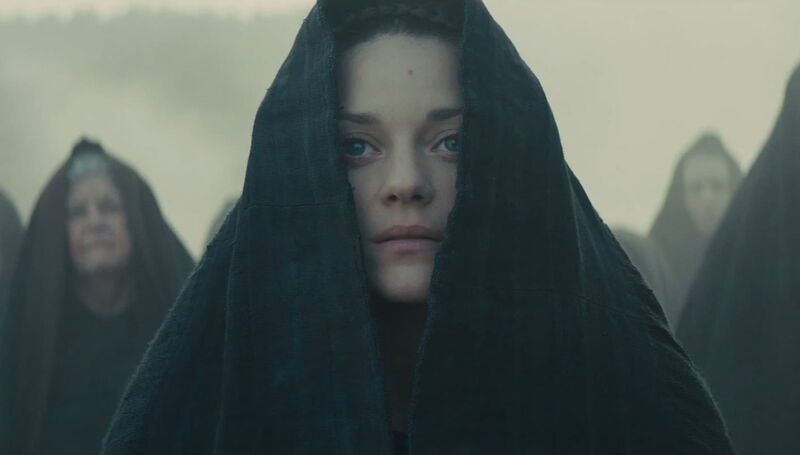 Cotillard's Lady Macbeth seems quieter, more sympathetic than aggressive past visions or stage directions might suggest. She's a sadder figure than I've seen before, and so is her husband. Fassbender does well with the dissolve here, convincing us that he's crumbling beneath the twin pressures of ambition and grief, made mad by word of his fate. It's a fairly physical performance, with the actor dominating scenes he's in - however still he might be - like some kind of open wound. What it winds up feeling like is a vision of Macbeth deeply influences by Lars Von Trier's Depression Trilogy. Grief permeates every aspect of the film, flattening its violence, its rage, and even its score. There's a kind of dull hum to the thing that makes it a little frustrating to watch, and I will confess to a creeping boredom even as I admired what I saw on screen. So it is that the film is both success and failure: it's a smart, consistent vision concerned largely with madness stemmed by compensation and control. This Macbeth's selfish insanity feels like an attempt to take control of nature after being betrayed by it, a factor which makes his efforts that much more foolish. Kurzel and Fassbender succeed in this, even as they lose some of the dark magic of the source material.